Neuburg a. d. Donau, January 29, 2019 – Audi Sport customer racing is returning to Australia looking to add a fourth Bathurst 12 Hour win at the country's most famous track. Not only has Audi won at Mount Panorama a record three times in the past, but the brand has also claimed the Intercontinental GT Challenge championship in the manufacturers' classification for the past three years. This year's championship will again kick off at Mount Panorama in Bathurst, this Sunday, February 3, the start of the world's only racing series for GT3 models with one round each being held on five continents. 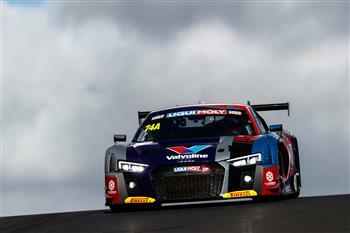 Two Audi R8 LMS cars of Audi Sport Team Valvoline with their professional driver squads spearhead the lineup, with three additional GT3 sports cars completing the brand's presence at The Mountain. For drivers and fans, the race track 200 kilometres west of Sydney is one of the great international classics: The 6.21-kilometre circuit with its concrete walls close to the edge of the track is unforgiving, with speeds of more than 200km/h reached through many of the 23 turns, and an altitude difference of 174 metres between the lowest and highest points of the track. Since 2011, GT3 race cars have been permitted to race in the Bathurst 12 Hour, with Audi claiming victories, scored in 2011, 2012 and 2018, making it the most successful marque in this era to date. 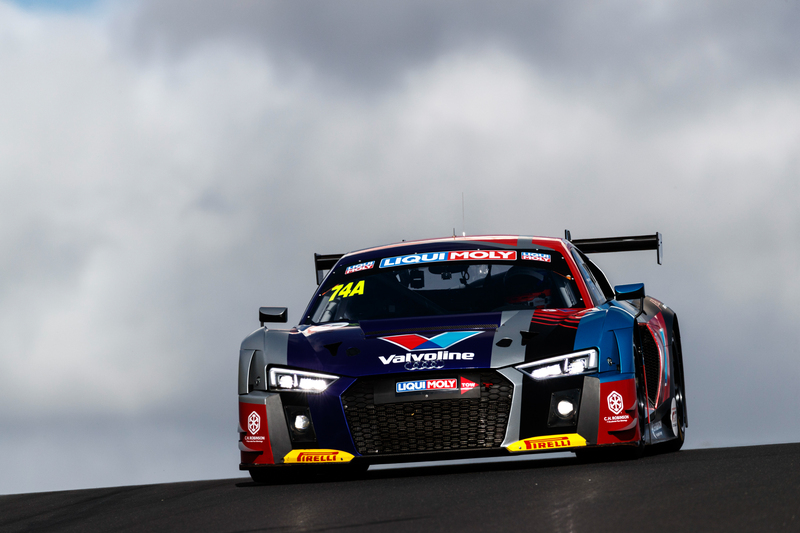 "We can hardly imagine a more atmospheric opener of the Intercontinental GT Challenge than this race at Bathurst," says Chris Reinke, Head of Audi Sport customer racing. "Another victory is our declared goal, but the competition this year is fiercer than ever before." In Class A for GT3 race cars alone, 28 entrants from 10 marques are pitted against each other, plus there are smaller classes for 13 additional race cars. Audi Sport Team Valvoline, like last year, will be relying on the three German Audi Sport drivers Christopher Haase, Christopher Mies and Markus Winkelhock. Mies has won the race on two previous occasions, while the second R8 LMS of the local team will be shared by South African Kelvin van der Linde, Belgian Frédéric Vervisch – both Audi Sport drivers – and Australian pro Garth Tander, who has previously won a 24-hour race at Bathurst, so both driver pairings remain unchanged from last year. Audi Sport Team MPC is fielding two further Audi R8 LMS cars for a British and an Australian driver squad on the grid. Audi Sport driver Gordon Shedden, who has been contesting the FIA WTCR touring car racing series in an Audi RS 3 LMS, and his British compatriots Pete Storey and Matthew Neal are sharing an Audi R8 LMS for the first time. Their teammates are Australians Marc Cini, Dean Fiore and Lee Holdsworth, who also competed in this formation in 2018. Team Matt Stone Racing completes the group of Audi customer teams. Australians Todd Hazelwood, Roger Lago and David Russell are racing in an Audi R8 LMS for the first time. Following five free practice and three qualifying sessions on Friday and Saturday, the 12-hour race will start on Sunday, February 3, at 5.45 AM local time. The event will be broadcast on the 7 network – check local guides for coverage details. Audi R8 LMS #74 (Audi Sport Team MPC), Christopher Haase, Christopher Mies and Markus Winkelhock.